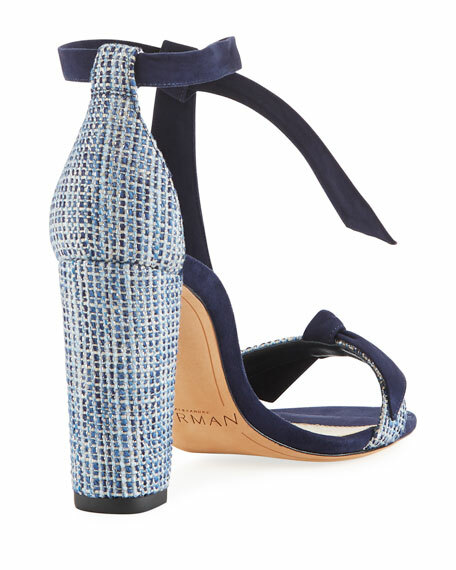 Alexandre Birman "Clarita" tweed sandal with suede trim. For in-store inquiries, use sku #2465214. 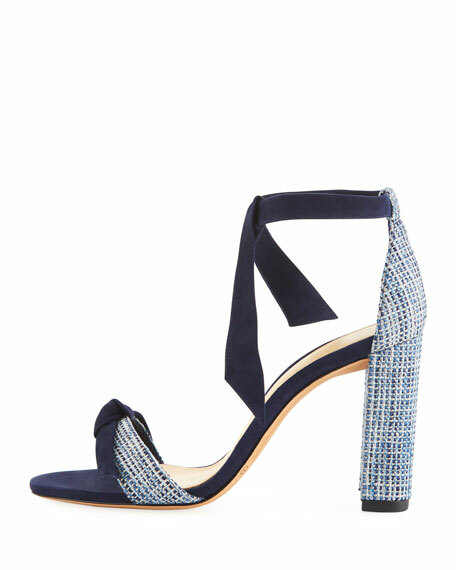 Gianvito Rossi napa leather sandal with oversize circular buckles. 3.3" covered block heel. 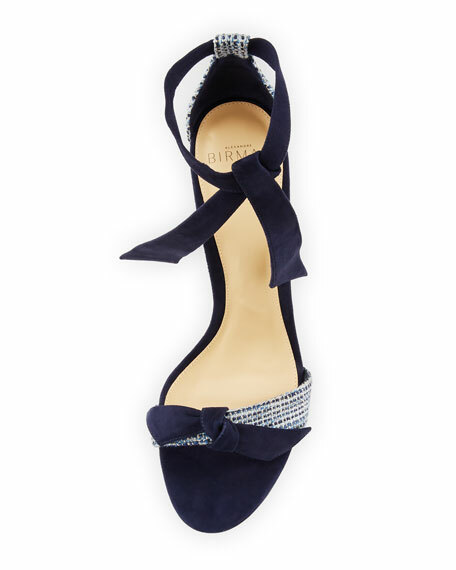 Elongated open square toe. Buckle straps at vamp and ankle. Leather lining and sole. Made in Italy.